And add the skin to complete! 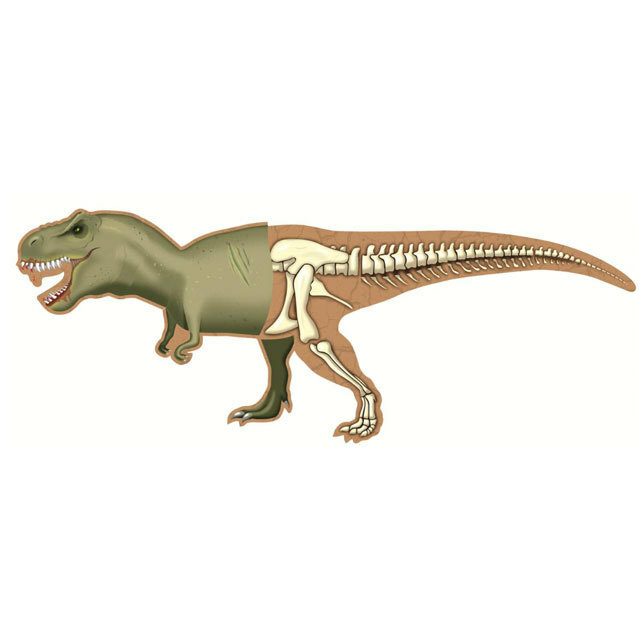 Build a skin and bones dinosaur and bring the Tyrannosaurus Rex back from extinction bit by bit! 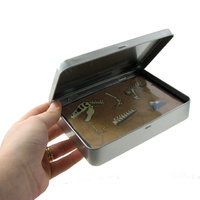 With 26 magnets to assemble, start with the bones and then add a layer of skin! When you're done, you can add the habitat! 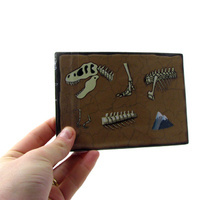 It's a two-fold magnetic adventure, you can even make his head face forward or straight at you! Kids love to build the T-Rex and enjoy the challenge of putting together the bones. It's a great fridge accessory for children and adults alike! 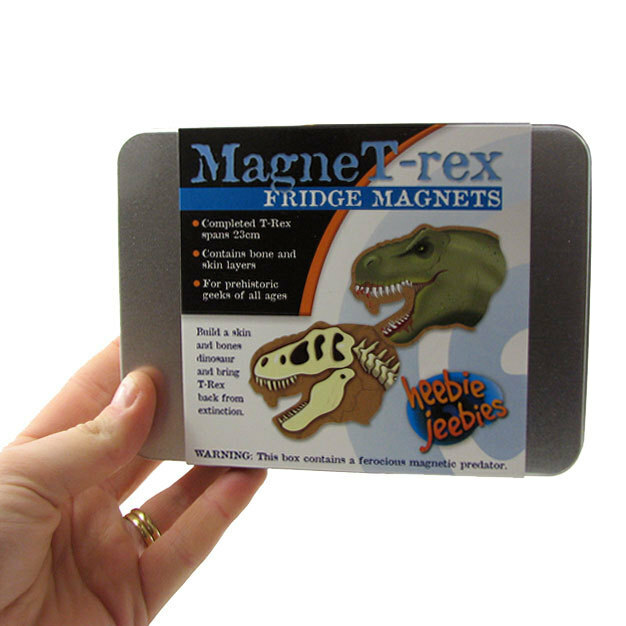 Your ferocious magnetic predator measures 23cm long when fully completed! For prehistoric geeks of all ages. Comes packaged in neat silver storage tin.